Well I have been MIA recently, because we have been ill!! What would a holiday be without a good sickness bug?!?! Touch wood me and Darcie are over it now. Jamie is tucked up in bed feeling sorry for himself so fingers crossed he is better in the morning! 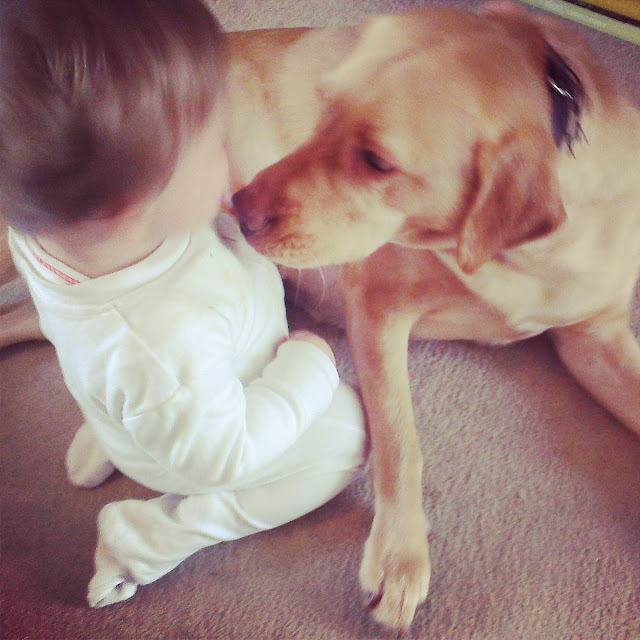 I LOVE this picture of Darcie and Lady it captures there lovely little relationship that they have.